Infinity is a powerful symbol of continuous connection, energy, and vitality. 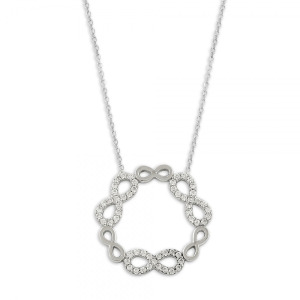 Multiple infinity symbols in a circle crafted in sterling silver and set with sparkling cubic zirconias. Ideal for everyday wear.